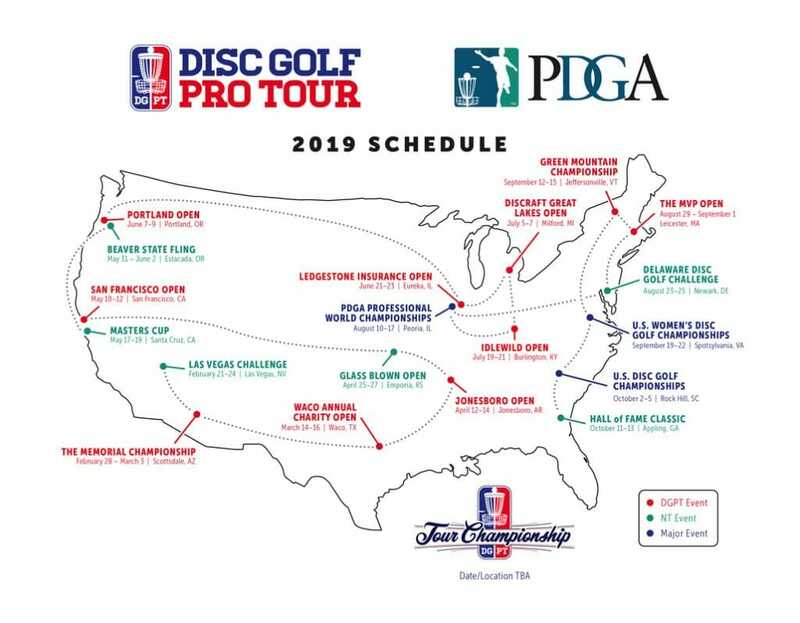 The PDGA and Disc Golf Pro Tour released their respective 2019 tour schedules today, and with the return of many tour stalwarts, we will also see potentially two new locations. In order to better accommodate travel times for the pros and make the most “geographically sensible tour,” the DGPT again collaborated with the PDGA to schedule events across the country. The release of both tour schedules also allows for better planning of regional A-tiers adjacent to DGPT and PDGA events. PDGA National Tour events remain unchanged for 2019, with the Las Vegas Challenge, Glass Blown Open, Masters Cup, Beaver State Fling, Delaware Disc Golf Challenge, and Hall of Fame Classic all returning to the schedule. Majors remain the same, with the expected location moves including the European Open and Presidents Cup to Nokia, Finland in mid-July and Pro Worlds in Peoria, Illinois inching up to a mid-August start. The DGPT schedule is largely unchanged but contains several items of note. 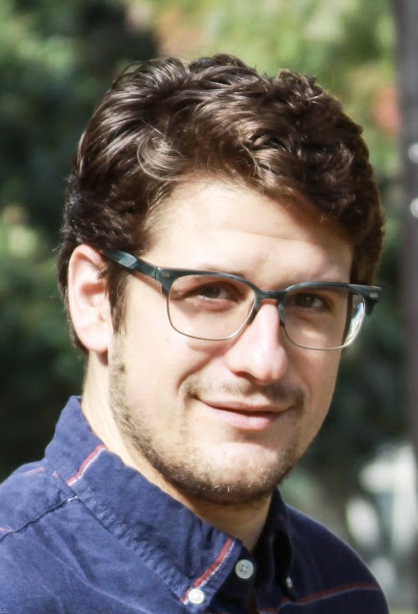 A new event, the Portland Open, will be organized by recent Pro Worlds and Green Mountain Championship Tournament Director Jeff Spring, and supported by assistant TDs Dustin Keegan and Zoe Andyke. The Portland Open will follow the Beaver State Fling and be played at Blue Lake, a course we have not seen at a premier event since the 2014 Pro Worlds. The Utah Open will be the first Pro Tour Affiliate Event. “We recognize the quality events that the Utah Open Team puts on and we want to support them in their shift from Mulligan’s to The Fort, while recognizing this shift means they need more time to focus on both the course and Worlds bid,” said Seth Fendley, VP of Press Relations for the DGPT. Currently, the DGPT Finale, the Tour Championship, which has been held after the Hall of Fame Classic in late October at New World Disc Golf in Jacksonville, Florida the past two seasons, is without a date or location on the schedule. Fendley said the Tour Championship will again be announced at the start of 2019 as it has in years past. The Green Mountain Championship, which was not a DGPT event in 2018 as Smugglers’ Notch hosted the 2018 Pro Worlds, will return to the schedule along with the Memorial Championship, Waco Annual Charity Open, Jonesboro Open, San Francisco Open, Ledgestone Insurance Open, Great Lakes Open, Idlewild Open, and MVP Open. Only one major conflict is on the schedule. The week of July 18, 2019 features both the European Open and Idlewild Open, but with the majority of pros not traveling to Euorpe most years, it may be a non-issue and a good time for those still stateside to stay sharp. Comments on "2019 Tour Schedules Released By DGPT And PDGA"